The fear of speaking English is more frequent than we imagine. Some people have a high understanding level but can’t express themselves in the language for fear of being judged by others. As a result, they lose the opportunity to practice and, therefore, develop their knowledge. But what can we do to lose this fear that, sometimes, doesn’t have any explanation? 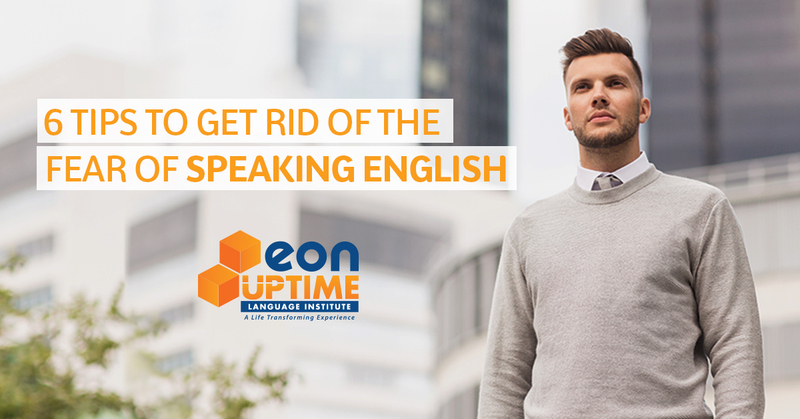 Get used to the language, which means, the English language must be a part of your everyday life. To help you create habits to overcome this difficulty we have selected 6 great tips. You need real opportunities to speak English. It’s interesting to practice the language not only during your study, but also in dynamic activities. Try to create situations in your routine with fluent people who are willing to help you. Is there a native English speaker in your job or college? Don’t lose time! Every time you can, talk to that person in English. If this isn’t possible for you, another good option is choosing an English course that provides conversation classes. Translating words and expressions to your native language won’t help your learning process, and we have already explained why here in this blog. Exhaust your possibilities, try to absorb the context! Read and listen over and over again, until you have the completely understood it. You need to get used to the language, and, by translating you don’t do that. Read texts in English, sing international songs out loud and follow the lyrics. Analyze your pronunciation and your mistakes. Repeat the process as many times as you need, until you realize you can speak correctly. Are you waiting for someone? Stuck in a line or on a bus? Try to think about everything around you in English! Describe the situations, clothes, numbers, and dialogues to yourself. Thinking in the language is essential to be able to act naturally in a conversation. Take advantage of the information from reliable sources on the internet(LINK) and search for subjects you are familiar with. Broaden your knowledge network and enrich your vocabulary (LINK). This is a cognitive comprehension system, which means that you know what the subject is about, but access it in a different language. People often freeze up because they can’t understand what the other person is saying in English. It’s common to know a few expressions in the language, but when you face a real life situation, the conversation doesn’t flow naturally. To improve that, you should practice your comprehension, so that the communication happens in a more natural way. Reading and listening exercises will help you with that.